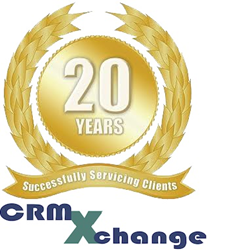 CRMXchange, celebrating over 1000 online webcasts and a leading online information resource for customer care/contact center professionals, announces a series of free educational events to address these vital issues. The schedule includes webcasts on topics such as Workforce Management, Gamification, Digital Transformation, and Robotic Process Automation. Workforce management has long been defined as ensuring that the right number of agents with the right skills are available at the right time to deliver the right level of support to customers. Companies must be able to react swiftly and efficiently to the intraday management environment and 'day-of-changes' to scheduling as well as being fully prepared to meet seasonal and changing service demands according to a strategic plan. Learn best practices to adapt to the needs of today’s rapidly evolving contact center environments. Thinking about gamification but not sure if it’s right? How does gamification impact employee performance? Curious where to start? Companies like Microsoft and Comdata are using gamification to retain employees, increase skills, drive down operational costs and improve customer satisfaction; all in a fun and interactive way. This webcast explores best practices for implementing gamification in contact centers and discuss how to create a business case for executives and stakeholders. In this webcast, Jacada will break down the traditional segmentation of front office and back office automation and introduce Customer Service RPA as a bot/human hybrid automation that amplifies agent productivity rather than replacing the agent. Free the agent to deliver impactful conversations with empathy, while the robot is automating manual and tedious data entry, complex navigation sequences, and cut & paste operations. View a demonstration of the productivity gains that Customer Service RPA brings to contact center automation and how leading contact centers are already driving substantial value from automation. Digital transformation poses challenges when it comes to optimizing the customer experience across different channels. Companies are analyzing activities, processes, and solutions to learn how they can fully leverage their digital mix of technologies while intelligently incorporating more traditional channels such as voice when needed. This webinar will focus on tips and tricks around key elements of the digital transformation landscape, how this is changing the overall customer experience and the new role voice plays as part of this transformation.